You Can Get Speeding Tickets Aboard the "World's Fastest E-Bike"
When does a power-assisted bike stop being a bike and instead becomes a moped? 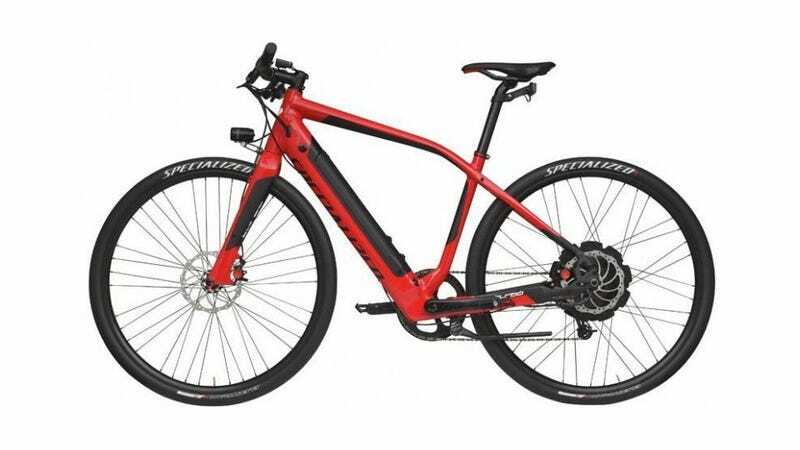 While there's no defined limit, Specialized's new Turbo e-bike is definitely toeing the line. The Turbo, which Specialized officially unveiled today, will reportedly have a top speed of 28 MPH (45KPH) with the help of its 250-watt Direct Drive rear hub motor—fast enough to earn a speeding ticket of residential streets. The Turbo's integrated battery monitor. The Li-Ion battery pack and charge indicator.